Lincoln Park Zoo&apos;s third-annual Fall Fest, which kicks off Sept. 29th, is a (FREE!!!) family-friendly celebration that brings the harvest to the heart of the city. Conquer a corn maze, grab a burlap sack for the slide of the city, and pick the perfect pumpkin . . . while also enjoying a visit with all of your favorite animal friends. Join in on the fun singalong sessions with Mr. Singer on the Main Stage, watch expert pumpkin-carvers in action, learn more about the animals in autumn with zoo staff-led enrichment programs and more. Ticketed experiences include a corn maze, a burlap sack slide on the zoo’s Main Mall, a tractor-themed carousel at Farm-in-the-Zoo, a 65-foot ferris wheel, two corn pools, multiple bounce houses and more. Before you leave the fest, be sure to pop into the pumpkin patch, located next to the Landmark Café, to pick a pumpkin of your very own to take home! Fall Fest is a free event open to the public Sept. 29–Oct.1, Oct. 6–9 (Columbus Day), 13–15, 20–22 and 27–29 from 10 a.m. to 5 p.m. Tickets are required for attractions and are available individually for $3 each or in bulk packages of 10 for $27, or 20 for $51. Tip: Too old for trick-or-treating? Adults Night Out: The Great Pumpkin Glow on Oct. 12 from 6:30 to 10 p.m. is the perfect 18-and-older fall festival. See the zoo grounds covered in pumpkins, enjoy educational entertainment, get swept off your feet at a barn dance party and more. Tickets are available for $15 ($12 for Lincoln Park Zoo members. Not a member? Join today at lpzoo.org/membership) or $20 at the door, if tickets remain. Costumes optional. If you&apos;ve never explored the Ravenswood, plan a visit during ArtWalk (RAW), an art-centered, family-friendly festival that takes place in the heart this beautiful, North Side neighborhood. Over 300 local artists will have their work on display along the historic mile-long Ravenswood Avenue industrial corridor from Irving Park Road to Leland Avenue on Saturday and Sunday, September 16 and 17, from 11 a.m. to 6 p.m. Highlights of this annual event include a rare glimpse inside the Peggy Notebaert Nature Museum private archives of extinct animal specimens, the outdoor RAW Street Fest with a dedicated children’s corner for family-friendly entertainment and activities, artist displays at 40 indoor venues and a “Bike To RAW” music meetup and bike parade led by the youth folk band Young Stracke All-Stars (musicians aged 8–14). Starting at Turin Bicycles on Sunday, September 17, the bike parade ends with the youth folk band’s 1:00 p.m. performance on Ravenswood ArtWalk’s Midwest Action Stage at Ravenswood and Berteau. Moms and dads will want to check out the Begyle Brewing urban craft beer garden; the whole fam will enjoy lunch curbside at the food -ruck roundup. Expect live music throughout the event, on two lively stages. The Ravenswood ArtWalk is free and admission to the RAW Street Fest is a suggested donation of $5. 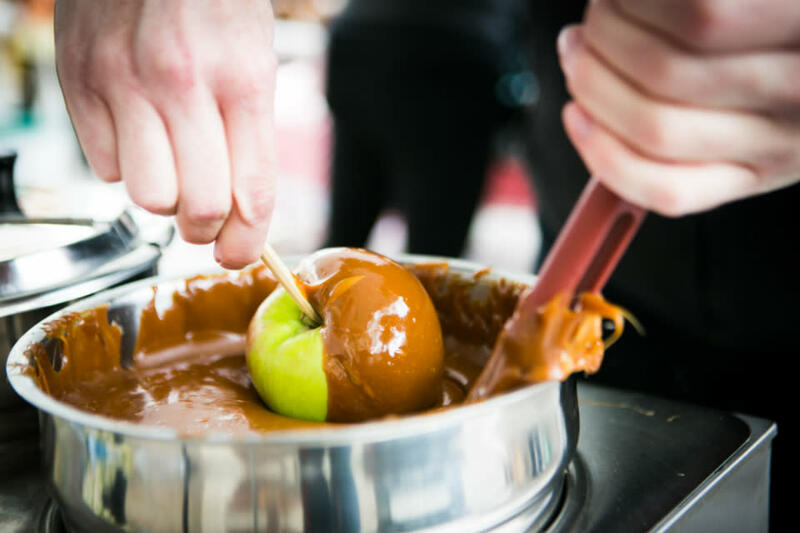 Usher in fall and delight in all things apples at the 30th Annual Apple Fest in Lincoln Square, where apples, in all their fall glory, are celebrated in all shapes and forms. Bite into a slice of delectable apple pie, sip hot apple cider or take home a bushel of freshly picked apples. Dine and snack on your apple goods at the Lawrence Avenue Music Stage, where local musicians of all genres will keep the crowd swinging all festival long. If you have little ones, pay a visit to the Leland Avenue Kids Zone, where child-focused activities including crafts and games will be offered during the duration of the festival. Live gourmet cooking demos at Giddings Plaza will teach you what to do with all those apples at home. New this year, the Apple Fest will be held over the course of two days: Saturday, September 30th and Sunday, October 1st, from 9 a.m. to 6 p.m. The festival fun takes place on Lincoln Avenue between Lawrence & Eastwood (CTA Western Brown Line Stop). Admission is a $5 suggested donation. The money raised from this event supports beautification projects in Lincoln Square and contributes financially to several community nonprofits each year.